Posted on Thu, Mar 1, 2012 : 5:58 a.m. 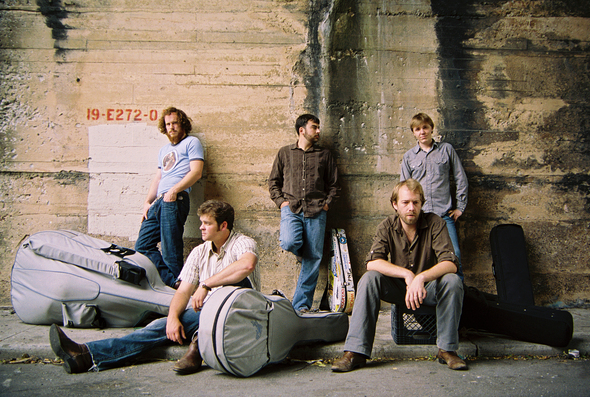 The Steep Canyon Rangers will bring their bluegrass sounds to the Ark Thursday night. See the Oscar-Nominated documentary, "If A Tree Falls: The Story Of The Earth Liberation Front," at Ann Arbor District Library on Thursday. 7 p.m. For years, the ELF had launched spectacular acts of arson against dozens of businesses they accused of destroying the environment. The film follows the arrest of its leader as he awaits his trial. Free. The AADL is at 343 S. Fifth Ave., Ann Arbor. 734-327-4200. See comedian Josh Sneed at Ann Arbor Comedy Showcase. Tonight at 8 p.m. Friday and Saturday at 8 and 10:30 p.m. Recently, Sneed finished second out of 100 of Comedy Central’s top comedians in Comedy Central’s annual “Stand-up Showdown.” He is one of the best young comics working today. Thursday: $8/ In advanced; $10/ At the door. Friday and Saturday: $11/ In advance; $13/ At the door. Comedy Showcase is downstairs at 314 E. Liberty St., Ann Arbor. 734-996-9080. The Steep Canyon Rangers will bring their bluegrass sounds to the Ark. 8 p.m. You may know them as band that backed Steve Martin on his recent tours. But this band has been bowling audiences over at top bluegrass venues on their own. $15. The Ark is at 316 S. Main St., Ann Arbor. 734-761-1800. Take "An Austrian Excursion" as part of the (un)Corked Wine Tasting at the Alley Bar on Thursday. 7:30 p.m. The wines of Austria have gained international attention because of the importance placed on low yields, terroir and quality emphasis. $10, includes five samples of wine. Purchase tickets ahead of time as these events always sell out. Purchase tickets at www.localwineevents.com/events/detail/406463. The Alley Bar is at 112 W. Liberty St., Ann Arbor. 734-662-8757. If (un)Corked fills up, you can always hit "Rush Hour Relief" at the Cranbrook Whole Foods Market on Thursday. 8:30 p.m. This week will feature Spanish reds. Whole Foods staffers will discuss the wine. Cheese and appetizers will also be available. $17. Whole Foods is at 990 W. Eisenhower Parkway, Ann Arbor. 734-997-7500. Fri, Mar 2, 2012 : 1:20 p.m.
Is Mlive promoting a film that obviously supports these scumbag terrorists? The religion of the left glorifies murder and destruction of property in the name of their cause.